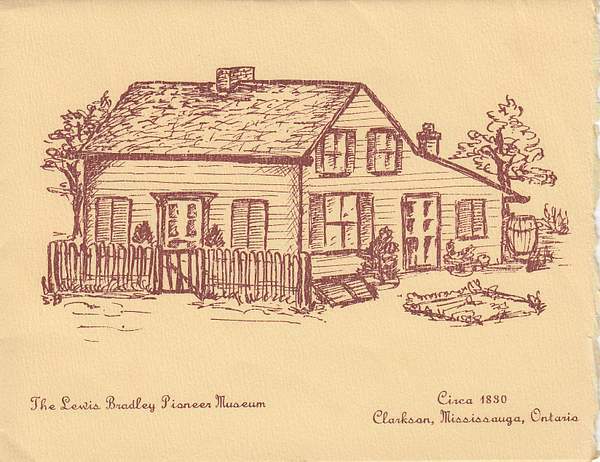 Undated card with sketch of Bradley House. 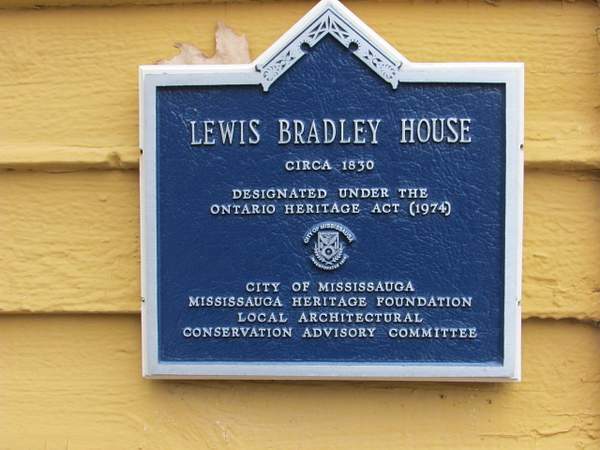 Working on the Bradley House 1966. 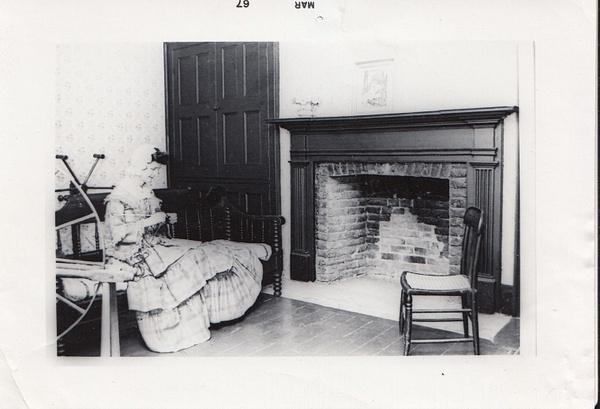 This picture shows Robert and Walker Archer in 1966. 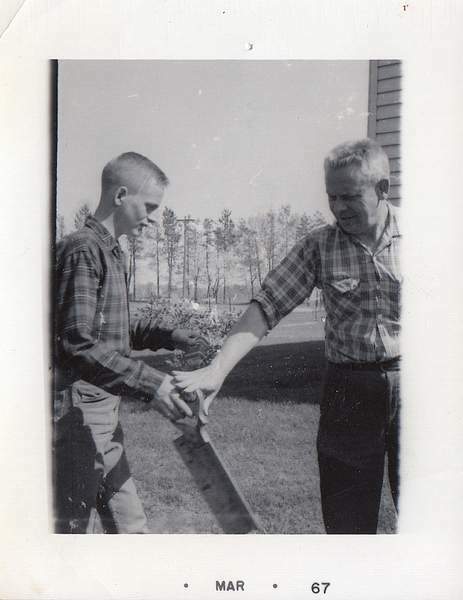 Probably a posed shot of me handing my Dad a saw. 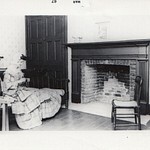 Mother, Margaret K Archer, posing by the fire place at the Bradley House.